Most people mistakenly believe that the Honda Invoice Price reflects what the dealer paid for a new vehicle - The true Dealer Cost. It is not! Knowing the dealer cost of a new Honda gives you needed leverage when it comes time to negotiate a great price. Negotiating from the cost up and not the MSRP down can save you thousands on your next purchase. If you would like to purchase an automobile, then you should familiarize yourself with the following Honda Price terms. This acronym stands for Manufacturer Suggested Retail Price, which is the price at which Honda recommends the sale of its products. This means the price remains the same irrespective of store or location. Dealerships are free to set their respective prices, but MSRP will help the buyer when negotiating the purchase price. 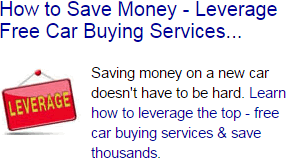 This is the price that car a dealership pays a manufacturer to get the required car. It includes the price the manufacturer charges for the vehicle and charges for any optional accessories. Although the dealer must pay this amount, the exact price of the car may be less due to holdback and rebates. Holdback refers to the percentage of either dealer invoice or MSRP that a manufacturer repays the dealer. Dealers usually secure loans to pay for cars they order from manufacturers and hold them before they are sold, and manufacturers pay holdback to cater to the loan interest. The dealers can therefore profitably sell cars below invoice. Manufacturers offer dealer incentives or “spiffs” that reduce the actual cost the dealers pay for cars. Manufacturers may offer the incentives after reaching particular sales targets where subsequent sales result in higher rebates. The incentives, which are offered regionally, can help in moving slower-selling stock. The dealers pay the fees for promotions and advertising that manufacturers run in their areas. The charges form part of the car’s cost and are not negotiable. These are the fees the Honda charges dealers for delivering vehicles to the showrooms. The charges are fixed and do not depend on distance. Honda sometimes give rebates to the buyers directly to either reduce excess inventory or increase sales. These can lower Honda prices by several hundred to several thousand dollars. Base Honda Invoice Price + the dealer Invoice price of Options + Destination - Holdback = Total Dealer Cost.